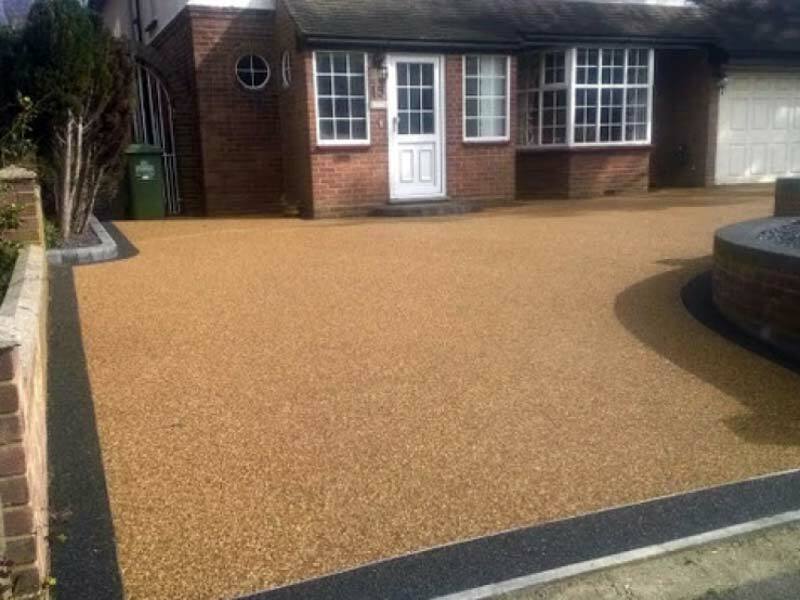 A stylish, decorative and planning permission-free addition to any domestic property, our resin bound driveways are a popular choice amongst homeowners across Kent and London. Fitted by our highly skilled and experienced team and backed up by a full guarantee, our resin bound driveways are an environmentally friendly, stylish and affordable way of improving the look of your front garden. Resin bound driveways an environmentally friendly choice! Resin bound driveways are designed to allow water to permeate through the surface and back into the water table. Using SUDS, a sustainable urban drainage system, this process makes our resin bound driveways truly environmentally friendly. The natural aggregate is an eye-pleasing alternative to block paving or tarmac and offers outstanding performance for many years following installation. Our resin bound driveways are particularly favoured by local authorities because they do not require planning permission to be installed. Thanks to their environmentally friendly characteristics, our resin bound driveways are becoming the leading choice for homeowners across Kent and London that want reliable, safe and ultimately stylish driveways and pathways. As you would expect from one of Kent’s leading driveways specialists, you can choose any style in a variety of colours and finishes. We can also incorporate patterns and logos into the resin, making them as ideal for homes and private properties as they are commercial premises. Our resin bound driveways can be laid on top of your existing driveway material, so if your driveway is looking a little worse for wear, save yourself time and money and have a resin bound driveway fitted. Based in Maidstone, we operate throughout Kent and London, specialising in providing domestic and commercial clients with the very best in resin bound driveways. Arrange your FREE property survey and no obligation resin bound driveway quotation at your convenience; call our expert team today on 01622 528170. We have recently installed resin bound driveways for clients in Sevenoaks, Tonbridge, Tunbridge Wells, Maidstone, Canterbury, Faversham, Medway, Dartford, Orpington, Bromley, Bexleyheath, London, Dover, Folkestone, Rainham, Chatham, Rochester, Strood and Larkfield.